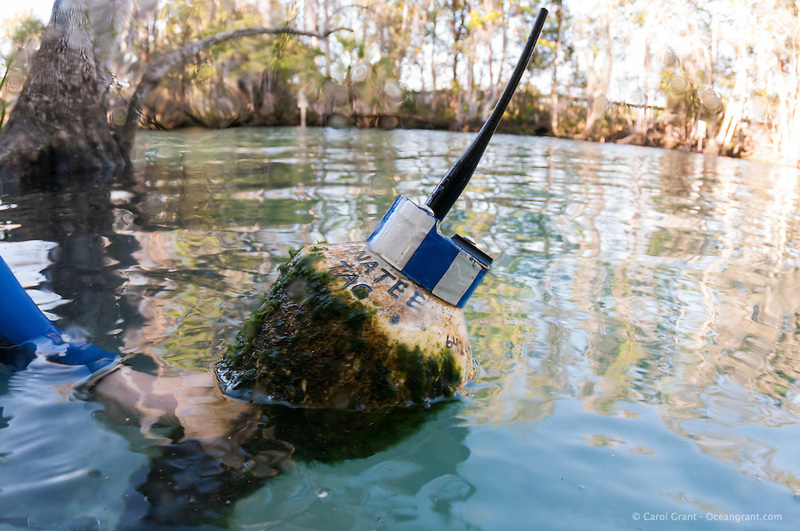 Manatee tracking buoy with Manatee Tag, blue stripes and antenna. Horizontal orientation. Three Sisters Springs, Crystal River National Wildlife Refuge, Kings Bay, Crystal River, Citrus County, Florida USA.